In October we entered 5 teams of Scouts in the Redditch District ‘Trek’ hiking competition. All our teams (Except the leaders, who were disqualified) performed really well and one team won the overall trophy gaining more points any of the Explorer or Network teams, a brilliant performance. We also entered a team of 8 Scouts in Dovetrek, West Warwickshire’s hill walking competition and won the Scout competition for the second year in a row. We’ve had 12 nights away, 10 of them in tents and 4 of those in sub zero temperatures. 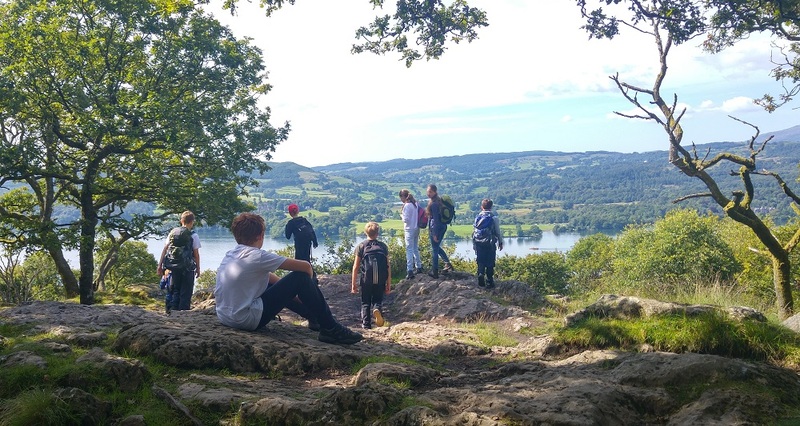 7 Scouts took part in an Expedition weekend, following the Heart of England Way over 2 days through Cannock Chase from Shugborough to Lichfield and achieving their Expedition Challenge badge in the process. The ultimate aim for any Scout is to achieve their Chief Scout Gold award which is achieved by fully taking part in Scouts over the 4 year program. In the last year we have awarded the CS Gold award to 6 of our Scouts. To give you an idea of what an achievement that is for our Scouts, in the West Warwickshire District only 2 other Scouts achieved their CS Gold award in the same period. James Arrowsmith will be leaving us as a full time leader in July so in September we will be short staffed. Hopefully we can recruit another parent into becoming a regular leader but until that time we will be implementing a parent rota with 1 or 2 parents supporting the leaders every week.